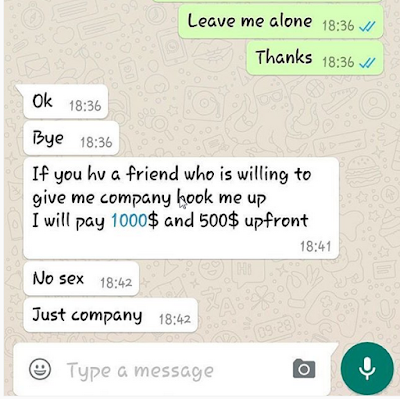 Socialite Vanessa Chettle is one of the fast fading celebrities in the showbiz industry. The sultry socialite is currently on a social media break which has raised many speculations that the lass is currently battling with drug addiction. 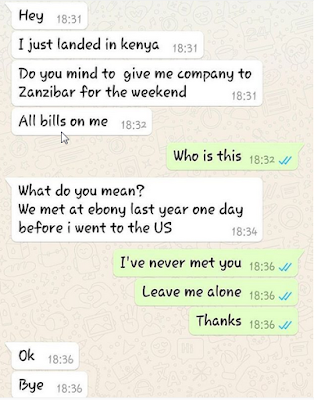 Socialite Vanessa took to social media to reveal a whatsapp conversation of her and a lad who claims to have landed from the states and is looking for a girl to keep him company in Zimbabwe during the weekend. 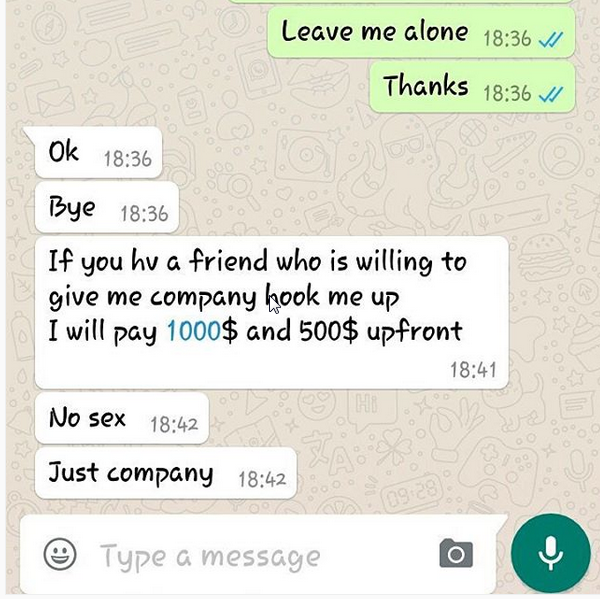 The lad claims he is ready to part with $1000 (Ksh 100,000) and $500 (ksh 50,000) just for company and no s3x. 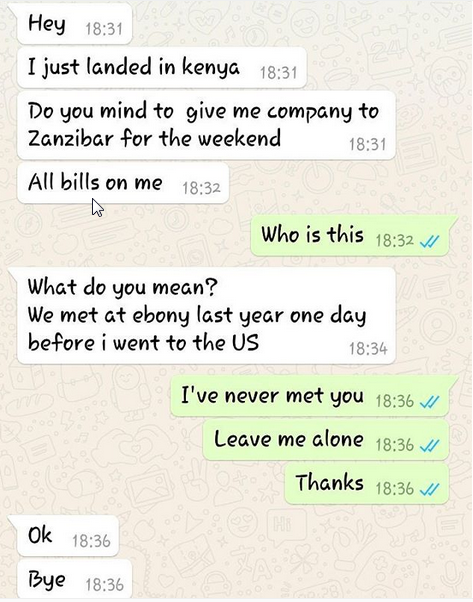 The light skin socialite decided not to fall from the lad’s thirst trap and so it best to share screenshots of the conversation with her fans.